Netflix has always wanted to aim its service at kids as well, making it more family friendly. This move is showing just that. 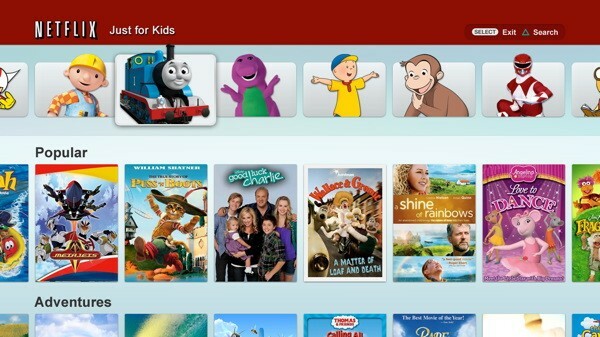 Netflix is expanding its "Just for Kids" service to the PS3. The service is also available on Apple TV, Nintendo Wii and online, it offers pre-selected content that's suitable for any audience, including classics like Wallace and Gromit, Power Rangers and Thomas the Tank Engine.